Chrome is an excellent and user-friendly browser that can quickly initiate the search by taking your voice or keyboard command. It can autofill lengthy forms as it saves your address, credit card numbers, and names and it will also help with private browsing. 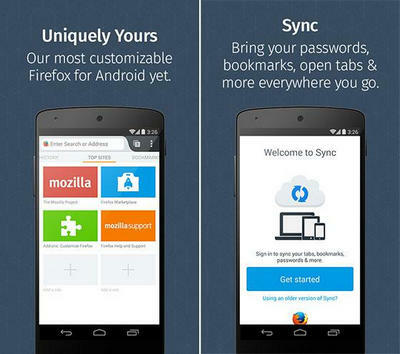 Right from its debut, it is turning out to be a compelling web browser for any Android device. Chrome will really shine, if you have a Google Account as it can sync your bookmarks, tabs, and web access history as soon as your sign in. More than anything else, this web browser features, Data server, a relatively new feature that can conveniently tap the servers of Google to compress many web objects like fonts and images. This free web browser has experienced a lot of positive reviews from Android users. The reason for its success is that it has a bunch of unique features likes gesture controls, incognito mode, ad-block, flash support and theming. If you need, you can also get add-on help from the official. It covers all the bases with a view to providing the best browsing experience. Since its introduction to the mobile platform, Firefox web browser from Mozilla has evolved a lot in the past few years. It has quickly attained the status of one of the must-have web browsers and it has got some astonishing features. Some of the worth-to-mention features include Chromecast support, quick sharing, 1-click bookmarks, privacy protection, and desktop syncing. In addition, there are many third-party add-ons you can access to get the best browsing experience. It is a free application and you can have a quick look at the features of this browser through its beta version. 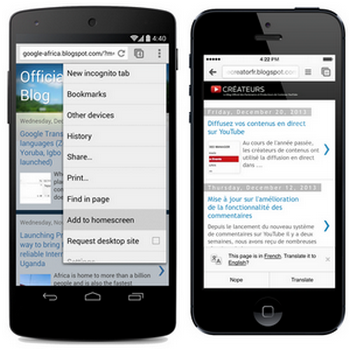 When it comes to Android web browsers, Opera has been on the mainstays. To bring different new features, the browser is frequently updated and there are some attractive features. For instance, the Speed Dial will help you save your favorite sites quickly and there are also other data saving features. 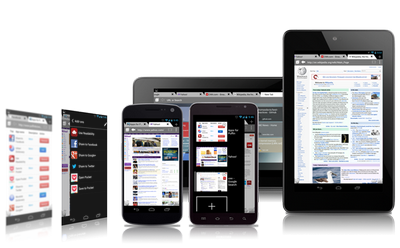 This browser is famous for its decent interface that can work excellently well both on smartphones and tablets. 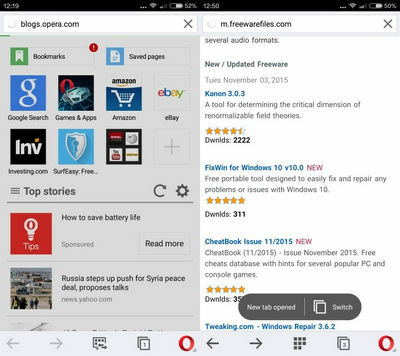 As you are looking for a browser for your Android device, you can try out the beta version of Opera Mini. 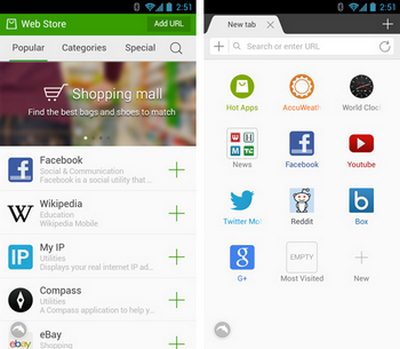 This is a free web browser for Android with some in-app purchases. The unique and strange features make Puffin stand out. Some of the attractive and unique features include a virtual mouse pad, a gaming mode, apart from normal features like incognito mode, theming, etc. For 12 hours per day, this browser offers full adobe flash support. So, choose one of these top 5 web browsers for your Android and take your browsing experience to a different level. In addition, If you are looking for music or video apps, then please check out the music player reviews and video player reviews. We will consistently review more apps in future.